Universities in Africa are regaining global recognition as critical sites of knowledge production, yet they remain bastions of gender inequality. 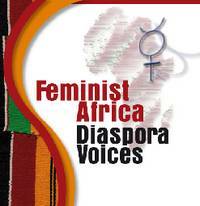 We are pleased to announce the launch of the first of two issues of FA dedicated to new feminist research and debates that enable us to rethink the role of Africa’s postcolonial universities in the pursuit of gender equality and justice. How do the Universities advance or retard democratization in Africa? What space do they offer in which to pursue the transformation of African gender relations, or to reinscribe patriarchy in modern guise? If the African universities remain unequal and difficult places for women, what kind of women and men citizens are they now turning out? If the social burdens imposed on women students and faculty, still prevent them from taking their places in academies that have remained male dominated, what should be done to address this? Have we done enough to decolonise the curriculum, the institutional structures, expectations and visions of our universities and orient these toward the best hopes for the 21st century? The contents of this issue of FA8 indicate the depth of the challenges and the extent of the problems – but also the renewed importance of feminist research and action on Africa’s campuses, and the role that for transnational networking can play in sustaining change. Working from the inside, Africa’s academic feminists are conceptualising, investigating and changing the campus cultures around them in inspiring ways that offer to advance and strengthen the liberatory visions that characterized African universities since their inception.